“We are steadily making progress toward achieving our challenge-level target,” Senior Managing Masayoshi Shirayanagi said in a statement of cost cutting efforts. Toyota President Akio Toyoda, a member of the company’s founding family, has repeatedly said Toyota’s business needs to change from merely making various vehicles to addressing all kinds of mobility needs. For the fiscal first half, Toyota’s sales rose to a record 14.67 trillion yen ($130 billion), up 3 percent from the previous year. Toyota’s sales projection for the year through March at 29.5 trillion yen ($261 billion), if realized, will also mark a record for the company. 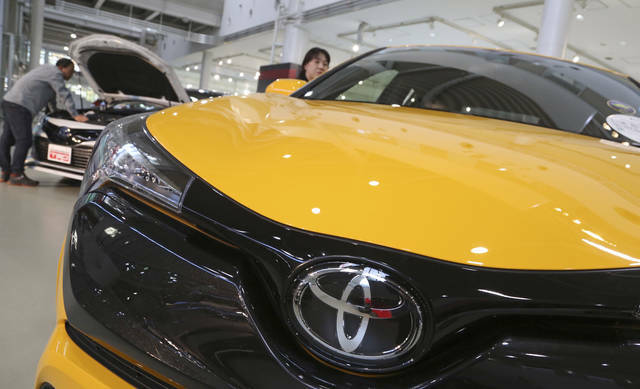 Toyota’s stock price jumped after the upbeat results were released, closed 2.1 percent higher.